If you have given a gift to Mom on Mother’s Day, then for sure you’re planning on giving Dad that perfect gift for Father’s Day too! Now I know that choosing the right gift is hard. However, I take comfort in the thought that in general Dad’s are pretty simple with simple needs and wants. Unlike us Moms, who in nature, are a bit more complex. LOL. If your Dad loves to travel, the you have come to the right place…errrr post I mean. 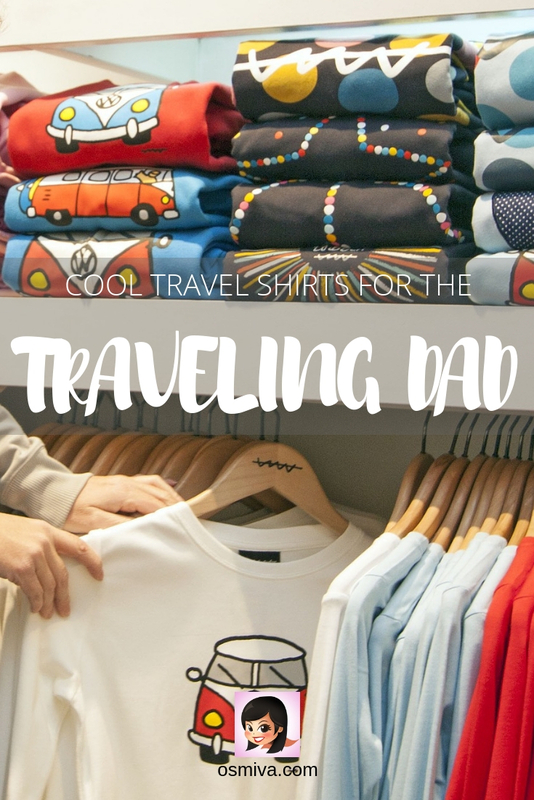 We have compiled a list of cute AND cool travel shirts that Dads who share the same passion as you and me, will appreciate. Hey, shirts are always ‘IN’ right and everyone, including Dad, loves a cool shirt to wear when traveling. 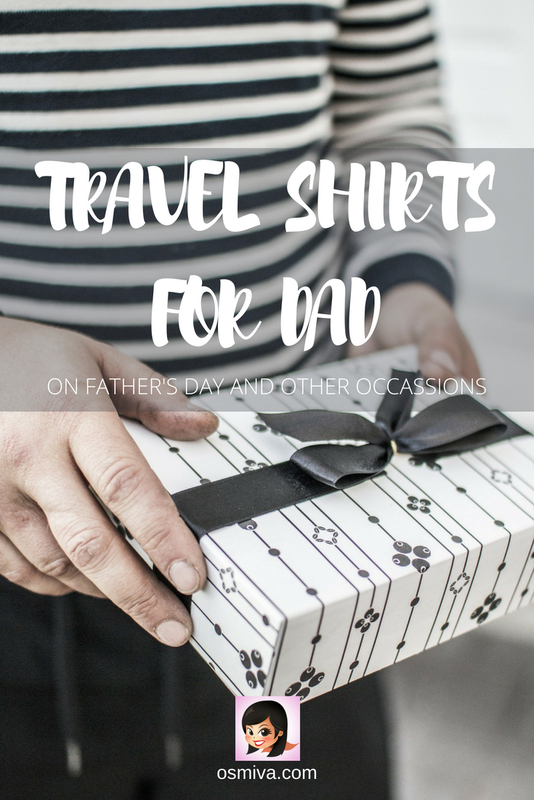 Besides, shirts are always a must when traveling and Dad will surely get a kick wearing something that reminds him of you and his passion for exploring the world with either Mom or the whole family! Come and check out our Travel Shirts for Dad this Father’s Day! After all, Father’s Day is just around the corner and it’s never too late to purchase a cool shirt! Disclosure: We use affiliate links on this post. Please read our Disclosure Statement below. Thank you. Remind Dad that he is the best ever.. Not just as a Dad but as the best Travel Dad ever. He will be super pleased for sure to wear this shirt wherever he is going! 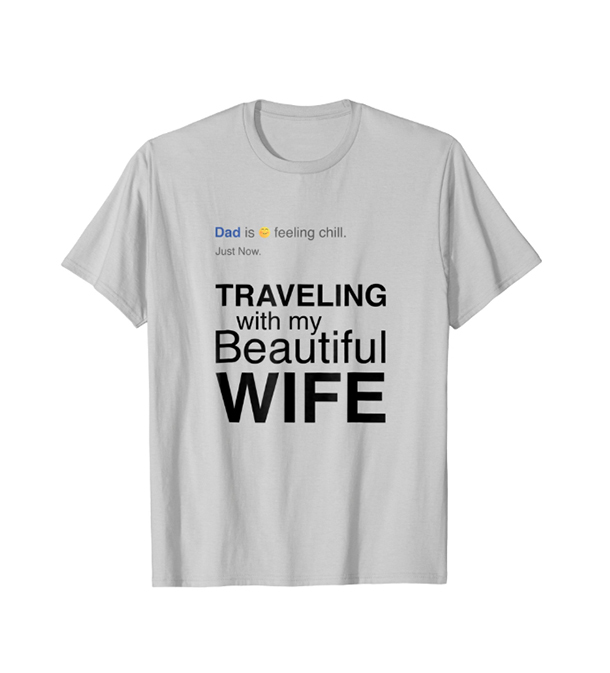 For Dads who love to travel with his wife, this Travel with Wife Shirt will surely please Dad and Mom at the same time! Give this to him and be rewarded with a sweet smile from both of them! I know most of our Dad’s are supportive of us who are traveling and blogging at the same time. 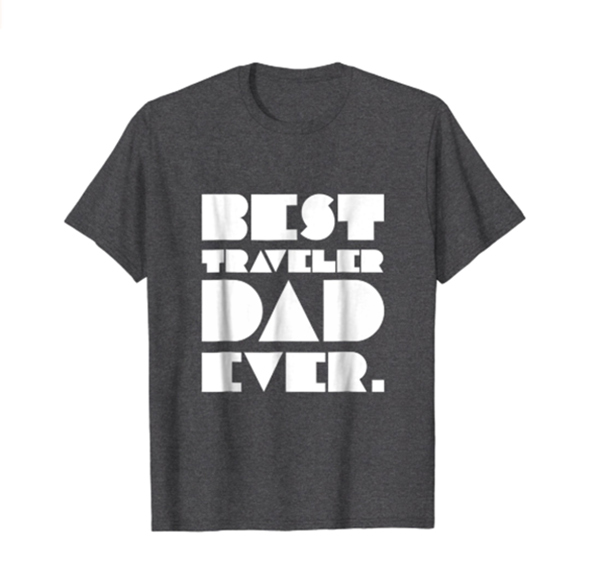 Give him this cool Travel Blogger Dad Shirt and bring him with you on one of your trips. I’m sure he’ll be thrilled! This Experiental Travel Dad Shirt are for Dad’s who love to travel and experience it fully. I’m sure he’ll love to wear a shirt on his adventure that expresses his love of travel and how he lives it! If Dad loves the outdoors, this Dad camping shirt is perfect for him! Take him to his most favourite campsite and give this shirt to him. I’m sure he’ll really appreciate it! 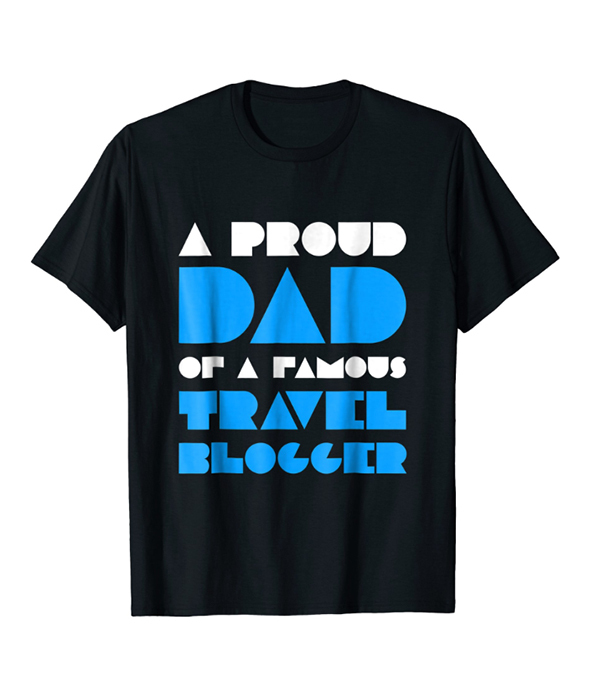 This Travel Journalist shirt is perfect for Dads who are also into blogging or writing! I’m sure it’ll feel great to be appreciated for the hard work he’s putting into being a travel journalist! If your Dad loves living in the Camper, then this King of the Camper Travel Shirt is for him! Make him feel like the King that he is! If your Dad is a travel guide writer, then this My Family Tee Travel Guide shirt is perfect! I’m sure he’ll be inspired to write more travel guides for travel lovers out there! Some of us have Dads who love living in the RV. Here’s a shirt for him this Father’s Day! I know how complicated choosing the perfect gift is. But, I find it always a great idea to give something that the person whom you are giving the item to can use everyday. A T-shirt may not be as lavish or as expensive like other gifts are, but most often than not it is the most expressive present we can always give! Disclosure: We are a participant in the Amazon Services LLC Associates Program, an affiliate advertising program designed to provide a means for us to earn fees by linking to Amazon.com and affiliated sites. Meaning, if you purchase any item by clicking on the link, I earn a commission at NO EXTRA COST to you. 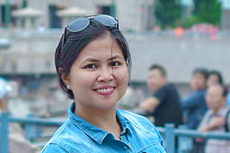 Thank you for reading the blog! LOVE these!! Great finds for that traveling dad! !